When I left University and planned to leave my home country, Australia, and travel to Canada, my grandmother told me: “Now your education will begin”. From Canada my travels have taken me to live in the USA, UK, Italy, France, and Germany. Education is a lifelong occupation for someone with unending curiosity. But sharing travels with another- and the learning that comes with it - lets you relive the magic and the adventure. Memories allow you to look back on shared experiences, shared laughter, and shared friendship – revisiting the moments and the people who have helped build your life. I have lived in other interesting places and have travelled to many more - always with one constant companion: a camera. 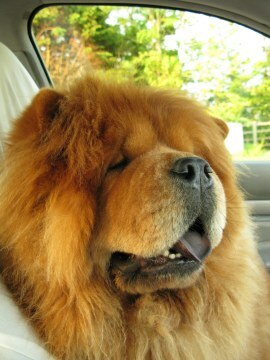 Now I also have the companionship of an easy-going chap, my friend Balu, the Chow Chow. 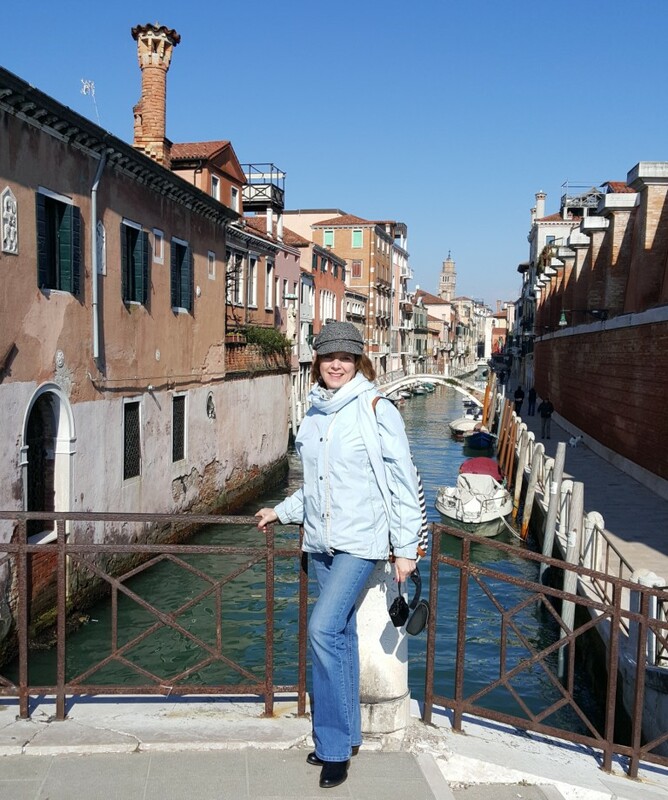 My goal is to share with you some of the discoveries that have given such character to my own travels. Perhaps here at Discover Interesting Places you may enjoy a new perspective on some old favourites – or discover somewhere new. It may be that you join me as an armchair traveller from wherever you are reading this, or by going there yourself to make your own memories. Your own photos and stories record them: I look forward to some of you lodging your own stories here on the “Fellow Travellers” pages.Just send me an email and we can work on it together. Meanwhile - come with me. Smile at the whimsical, ponder the philosophical – but travel with me lightly – for we have many places to enjoy together. I hope you will be fascinated, captivated, charmed – and make some memories of your own. Come back often. There are always more interesting places to read about – updates have lagged in the last little while from the one a week that used to add to the portfolio of memories, but pages are once again returning to a regular schedule. Without me travelling any more or taking any new photos, my existing library is enough for us to travel together to somewhere new every week …and I am always travelling and somehow capturing a small insight into the soul of the places where I go. I hope you will be a constant and welcome visitor. My name is Paquita Lamacraft. Join me. I’m glad to have you as a travelling companion. Site Sell Solo Build It is what I use to develop discover-interesting-places.com: concept, identifying the best market, supporting framework, full analytics & marketing help. It’s tops. I can’t recommend it highly enough. Have a look for yourself! So much to explore. What will be the next destination to be discovered on Discover-Interesting-Places.com? This page is where you find out what is being prepared! When change is your native habitat, it often comes with travel opportunities sought and unsought. Here is the profile of the author of discover-interesting-places. My book 'The Cuban Approach' tells what I learned about Cuba, life and myself, from a month with no plan in the hinterland of Cuba. Paquita Lamacraft has also written on growing your business by empowering your own people. With a Foreword from the head of Agile Strategy Lab, Purdue University School of Engineering - a great handbook. Paquita Lamacraft: In exchanging Etihad mileage points for a stylish red Pompidoo camera bag, I had the added benefit of being asked to agree to a Pompidoo Personality Profile. Here is the article. Please use my Contact Me form for any request. I will be delighted to respond as soon as I can. Reputed to be the oldest event in all of Germany, the Dresden Christmas Market is actually a gathering of Christmas Markets, each with unique character – here are some. Rüdesheim is one of the most romantic of towns among many romantic towns on the stretch of river known as The Romantic Rhine – but at Christmas it is spectacular. The Madrid Christmas Market in the Plaza Major is as much about preparations for the pranks of Holy Innocents Day as it is about the Nativity. One of the top 10 places in the world to celebrate New Year’s Eve: Puerta del Sol Madrid. Eat one grape per midnight chime, and when the golden ball falls thousands of Cava bottles uncork together. At Porsche Days 2012 the line-up of Porsches on the last leg of the Time Trials gave rise to a gallery of Porsche vehicles not often seen together, including the 914,977.987, 933, 956C and GT27. A Concourse d’Elegance for Porsche vehicles at the Austrian airport in in 'Zell am See', the home town of the Porsche family, was part of celebrations of 60 years of Porsche Car Clubs. Rovinj:In Croatia on the clear waters of the Adriatic, with a temperate Caribbean climate, this is one of the loveliest places in Istria, which the Romans called the magic land. To explore Bloomsbury in London is to travel through streets made familiar by the characters of literature. Here, the legacy of extraordinary lives of former residents colours the present. Climb the Tower of Notre Dame Cathedral in Paris, meet the Gargoyles and take in the views. Paris and food are almost synonymous. Where better to shop for cooking utensils? From clay pit to Florentine Garden and palace, to a garden modeled on Versailles, the Tuileries Garden in Paris today owes much to several generations of the same garden designing family. Admiralty Law is based on marine rules called the ‘Rolls of Oléron’ enacted by Eleanor of Aquitaine in the 13th century. They make fascinating reading. Hohenschwangau is the castle where King Ludwig II spent happy times as a child, and whose use of legend to theme the castle decoration inspired the more famous Neuschwanstein Castle. Having seen posters of Hohenschwangau Castles in Autumn, the colours looked artificial. However in real life they exceeded all expectations. Carnival Costumes in Mainz, Germany: a riot of creativity and political satire. Lazing on the Mediterranean coast and with 360 days of sunshine, Alicante is friendly, relaxed and a haven from less favourable weather elsewhere. Kindled on the Summer Solstice at midnight 20th June, the Fires of St. John in Alicante burn ceremoniously & madly on 24th – with fiesta unending between. Each year, the winning statue of the Bonfires of St. John in Alicante is saved from being ignited and burned to ash – instead being installed in the Hogueras Museum. Portugal’s Atlantic coast and its fringing cork forests form a timeless partnership. Still an important Cuban port, Cienfuegos was once known as “The Pearl of the South” and has been proclaimed a UNESCO World Heritage site - its former grandeur still visible..
Will the sparrow hawk catch the rooster or will the rooster have his day? Each Christmas Eve during the Parrandas festivities, the people of Remedios decide the winner. Reputed to be the second oldest Spanish settlement in Cuba, the lovely town of Remedios is the only town in Cuba to have two churches at its centre. Not a major tourist destination, the colourful city of Sancti Spíritus Cuba celebrates its past, and has a lot of appeal for those who just want to absorb everyday life. A tribute to the power of personality and extravagance, Palacio Cantero in Trinidad de Cuba is a wonderful discovery. Trinidad de Cuba had been described as beautiful. I found it more a place seeped in history and full of character(s) with great locals’ haunts. The Cuban Approach is an adventure: it is an adventure in travelling one month with no plan on the backroads of Cuba; it is an adevnture in insight, understanding and developing the art of letting go. The Bay of Pigs in Cuba: A coral coast, a diver’s paradise, underwater caves, and multi-coloured fish that cast a spell of 'slow' on you. Discover why the elegant Emirates Palace is much more than simply one of the most sumptuous hotels in the world - and a fine place to indulge in quiet luxury. Riding the desert dunes Abu Dhabi on the edge of the 'Empty Quarter' in Abu Dhabi by 4WD is both exhilerating and terrifying. Any hotel that awards itself seven stars has a reputation to live up to – and afternoon tea at Burj Al Arab is a great way to explore this Dubai icon. At the Tokyo Fish Market you can discover types of fish you’ve never seen, wonder why the vendors are not electrocuted, and be fascinated by the tuna auction. Village of White Herons: In 1965 herons arrived in their hundreds in the Bali village of Petulu . Are they really the lost souls of those in the mass graves after bloody massacres written out of Indonesia’s history? Audubon Zoo in New Orleans is home to more than 2000 animals. It's not your average zoo and much loved by all who treasure the simplicity of childlike wonder and delight. Mourning a life lost, celebrating a life lived, and acting on the belief in a here-after: the New Orleans Jazz Funeral is a mark of highest respect by those left behind. The city might be known mostly for Mardi Gras, music and good cuisine. But there are a lot more contributions to the culture of New Orleans. If you think New Orleans music is just jazz, then you need to go and explore some more. Not all of the performers to inspire in New Orleans are musicians. Meet some here. Discover the interesting places online shop! You can buy calendars, mouse mats or cards with high resolution images. Unique gifts or items to enjoy yourself.